Before I reply, I want to encourage all to listen closely to shiur by Rabbi Mordechai Willig שליט"א on this matter. (One of the commentators also mentioned it.) I believe that everything I have written is consistent with his remarks and Rabbi Willig says many other interesting things as well that I did not touch on. 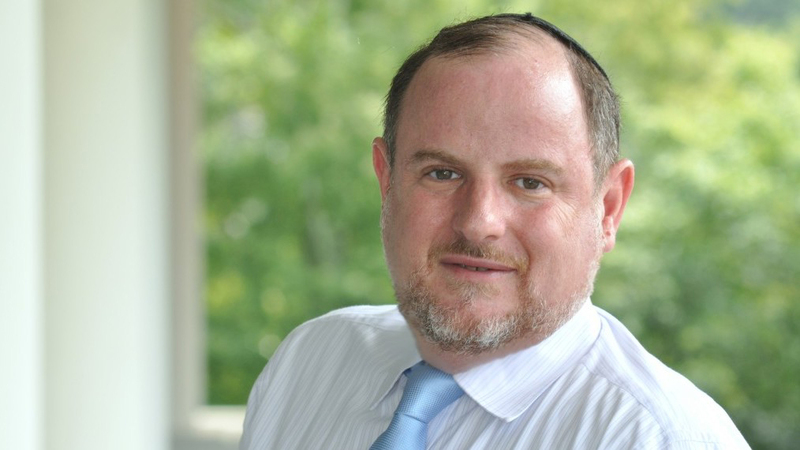 Rabbi Willig remains a fountain of wisdom in this (and many other) areas. Let me add that Rabbi Willig states directly in his shiur – based on his own and direct conversations with Rabbi Sternbuch שליט"א himself – that Rabbi Sternbuch’s view is NOT (as one commentator claims) “that any payment that is triggered by the failure to give a divorce is in essence a penalty” but rather that the payment that is triggered by the PNA has to related to the proper amount of support due in financial reality, given the economics of the community and person. That is both the only reasonable way to read the teshuva and is now attested to by Rabbi Willig as something Rabbi Sternbuch said directly to him as his own view as well. The remaining substance of the many comments fits into four categories. First, some argue with my read of the economic fact in the Modern Orthodox community which uses the BDA prenup. I reproduce below what is referred to an Apendix A in the paper, which was not posted in the prior version and was written by Professor Leon Metzger. I think it makes it clear that for large segments of our community, around $150 a day is reasonable support measure for housing, utilities, health care, car costs and insurance, personal care, housecleaning and clothing. That number might be higher than $150 a day of course in some locations. My sense is that secular courts have a preference for precise and non-liquidated damages, which would make this formulation more complex. On this chart with its 38 locations calculated, only South Bend Indiana is below $100 a day and the overwhelming majority of locations are above, or at, or very close to $150 a day (including, Silver Spring, all of the Manhattan locations, Queens, all of the Brooklyn locations, Monsey the Bronx, West Hempstead, the Five Towns, Teaneck, New Rochelle and Scarsdale). Second, many ask what to do in cases where for one reason or another the woman is not entitled to support as a matter of halacha (such as she is a moredes) and yet the BDA Prenup mandates support. There are two primary answers, each important and independent of the other (and a third that is less relavant). [When a woman has improperly abandoned the marital abode (is a moredet)], she forfeits her (marital) . . . rights and other financial claims against the husband. However, on the other side, the husband must [chayav] divorce her and may not keep her connected to him. Waldenberg states that the ruling (psak) of the Israeli rabbinical courts, with which he agrees, is to require support payments to be paid even to a spouse who improperly abandons the home and is an adulteress, when a reasonable time has elapsed and the husband has not ended the marriage by writing a get. Indeed, in the case of a moredet, no less an authority than the Pitchai Teshuva (Even Haezer 154:4&7) notes that the accepted practice is to make the husband support his wife (until he gives her a get) specifically to encourage him to give a get and not to compel a woman to remain in a "dead marriage," even if the marriage "died" because of her misconduct. Similar sentiments can be found in the name of many poskim, including such luminaries as the author of the Noda Beyehuda, Rabbi Akiva Eiger, as well as the authors of Chatam Sofer and Beit Meir; this view is the normative halachic posture, even if it is contrary to the assertion of Tosafot. Payments are not designed to support the women, they are designed to encourage the giving of a get. Second, since the BDA Prenup is an arbitration agreement, the bet din panel hearing this matter could decide not to order the payments, in a situation in which the totality of the circumstances would cause the dayanim hearing the case to favor such a resolution. It is exactly the job of the rabbinical court that is hearing any given case to determine that such payments are proper and to order them in a proper time frame. The BDA Prenup gives the panel hearing the case such discression and authority, and when such payments are ordered, it is because the panel determined that they are appropriate. In a case in which the proper reflection of their standard of living is less than $150 a day (such as in South Bend, Indiana, according to the chart), the answer is clear and is directly stated by Rabbi Willig in the above shiur. THE BETH DIN OF AMERICA WILL REDUCE THE PAYMENT LEVELS TO REFLECT THE ACTUAL STANDARD OF LIVING OF THE COUPLE. This is not something new or unusual or a concession. This is a support agreement and not a liquidated damages agreement and support must reflect the actual reasonable support. The second case is much more interesting: A more than reasonable claim could be made that if the correct amount of the payment is actually $150 per day, but the husband geneuinely can not make such a payment due to his post seperation poverty, there is no illicit coercion at all, and what the husband ought to do in a case when the payment is proper, is give the get. The decision to avoid a marital debt rightfully owned by giving a get is not a get meuseh at all. Fourth and finally, it is important to emphasize that the BDA Prenup is not a communal decree, but is a contract signed by the parties withot coercion and of the free will of both sides. Many – maybe most – Orthodox Jews do not use this or any other prenuptial agrement. The community of those who will not do a wedding without any prenup being used is far from the majority of the Orthodox rabbinate and no agreement beyond a ketubah is mandated as a matter of halacha. This agreement, with all of its various clasuses is selected by the husband and wife and binding as a matter of halach because they agreed to it and wanted it. The assertion that this or that specific provision of the BDA Prenup is a matter of dispute in Jewish financial law is perhaps sometimes correct. But the BDA Prenup states explicitly that “As a matter of Jewish law, the parties agree that to effectuate this Agreement they accept now (through the Jewish law mechanism of kim li) whatever minority views determined by the Beth Din of America are needed to effectuate the obligations, procedures and jurisdictional mandates contained in this Agreement” and that is a very powerful tool to address matters of Jewish financial law. Having realized that this agreement is a valid contract – and not some imposed agreement – allows one to accept clauses as proper because the parties accepted this as governing their agreement. Of course, those of you who want to follow up with me, should know that my email address is not hard to find and I welcome your comments to me directly. Tzitz Eliezer 18:58. This psak can also be found in Peskai Din Rabaniyin 1:238 and 9:171 as the psak of the rabbinical courts of Israel and is defended by Rabbi Herzog and others in the appendix to volume 2 of Otzar ha-Poskim. Particularly the analysis found in 9:171 supports the contention that the moredet issue is not significant, since a get should be given even to a moredet. Tosafot, Zevachim 2b s.v. stam. The approach of Tosafot is rejected, or limited to a case where the woman does not want to be divorced, by a breadth of authorities, including Noda Beyehuda, Tenyana Even Haezer 12, Rabbi Akiva Eiger, Derush Vechedish, teshuvah at the end of the ketavim section, Chatam Sofer, Nedarim 89a s.v. berishona (cited in the preface), Beit Meir Even Haezer 117, Pitchai Teshuva 154 (4&7) and it can be implied from Aruch Hashulchan Even Haezer 178:25-26. See the short article by Rabbi Yakov Moshe Tolidano in the appendix to Otzar ha-Poskim (2:16); he avers that the approach that requires a husband to support his wife who is a moredet, and thus not technically entitled to support, in order to encourage the writing of a get by the husband, is the normative halachah without a doubt.